Another fulfilling day here at CrossRoad! Yesterday, the participants engaged in their third day of Theology and Scripture courses! Fr. Simeon discussed the Ecumenical Councils in depth and Dr. Legaspi has been unpacking passages from Genesis. They are learning so much and are asking many wonderful questions. The staff has been really impressed with their participation in discussion groups. After our classes, we ventured downtown for the second time! CrossRoad spent the afternoon at Navy Pier, which encompasses more than fifty acres of parks, gardens, shops, restaurants, family attractions and exhibition facilities! 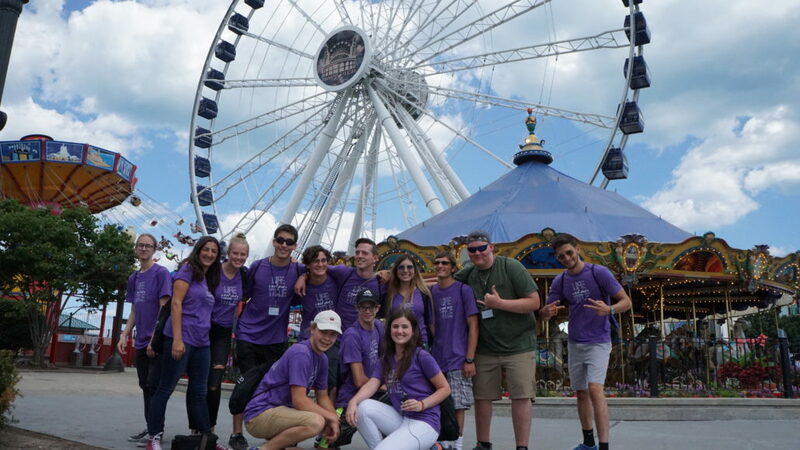 The participants were able to walk around, choose from a variety of Chicago classics for lunch, explore shops and go on the ferris wheel! Last evening, we visited St. George Cicero Antiochian Orthodox Church. We were warmly welcomed by Fr. Antony and participated in a beautiful Vespers service together. It was humbling for the participants to not only hear the story of their Miraculous Icon of Our Lady of Cicero, but to be able to witness and venerate the icon as well. We are so blessed to be experiencing our faith in such a rich and impactful way. Please continue to keep us in your prayers!